Palestinian President Mahmoud Abbas today called on President Trump to rescind his decisions on Jerusalem and Palestinian refugees in order to be able to act again as a mediator between Israel and the Palestinians during his speech today at the UN General Assembly. Why it matters: The White House was closely following Abbas's speech and wanted to see if Trump's overture about the two state solution would be answered by Abbas. Abbas didn't answer it directly, but Palestinian officials say he had prepared several versions of the speech and, after Trump's press conference, decided to use the most moderate one, which didn't contain personal attacks against Trump. "But we were shocked by decision and actions he took that completely contradict the role of the U.S. in the peace process." 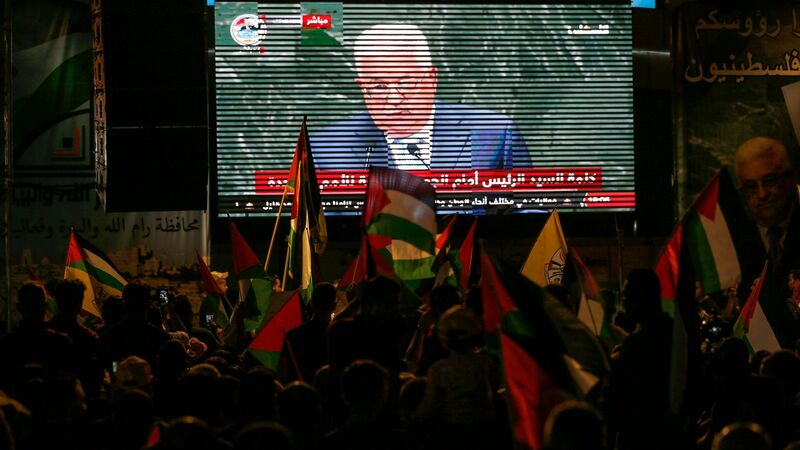 Abbas said in his speech that the Trump administration has reneged on all the U.S. commitments to the Palestinians and "undermined the two state solution." "It is ironic that the American administration still talks about what they call the deal of the century. But what is left for the administration to give to the Palestinians? Humanitarian solutions?" Abbas said in his speech the Palestinians will not accept "sole American mediation in the peace process" due to the Trump administrations recent decisions on Jerusalem, UNRWA and the Jewish settlements in the West Bank. He called on Trump to reverse those decisions.